Mali is one of the world’s most impoverished regions. Fuel use from increasingly scarce firewood is a growing problem in the country. In order to address this problem, an emission reduction project has been set up to distribute modern, fuel-efficient cooking stoves to private households at reduced prices. The people of Mali suffer from frequent droughts (especially in the northern region) and extreme poverty, both of which are being magnified as a result of climate change. The cooking stove project significantly reduces demand for wood and charcoal, lowers fuel cost and has a positive impact on the global climate via a reduction of CO2 emissions. Traditional cooking stoves used for cooking and fueled by wood and charcoal, are being replaced with energy-efficient cooking stoves. The improved cooking stoves use ceramic liners that allow charcoal and wood to be combusted in a more efficient manner. This makes them 50 percent more fuel-efficient than the traditional system. It is estimated that the new cooking stoves will prevent over 100,000 tons of CO2 from being released to the atmosphere annually. In addition to being more energy efficient, the modern cooking stoves emit less smoke, leading to a healthier cooking environment. 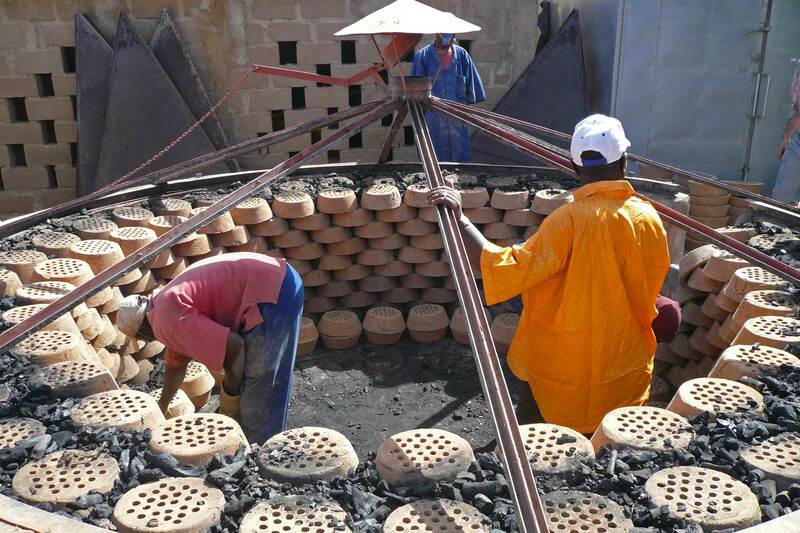 The cooking stoves for the carbon reduction project are being produced in Bamako, Mali’s capital. The new stoves come in three different sizes to meet different household needs and are sold within an established regional network inside the country. Individuals must purchase the cooking stoves because past projects have proven that when individuals pay even a minimal amount it creates a notion of value and secures long term use. Because the stoves are sold at reduced prices, families are rapidly able to offset the cost via fuel savings. The project benefits local families by permanently reducing theirfuel spending. The project improves significantly indoor and outdoor air quality, leading to less respiratory and eye diseases. The project introduces a sustainable development technology that is affordable. The project created 16 jobs (with wages and benefits that exceed the norm in Mali) in the cooking stove plant, improving the overall employment situation in the city of Bamako. The project reduces wood and charcoal demand by 50 percent in participating households. This reduces deforestation and leads to better soil, air and water conditions. Mali is a landlocked, impoverished country in West Africa. The Niger River region in the south is home to the country’s key industry of agriculture. The emission reduction project is located in Bamako, Mali’s capital. The project is providing the southern region with efficient cooking stoves.